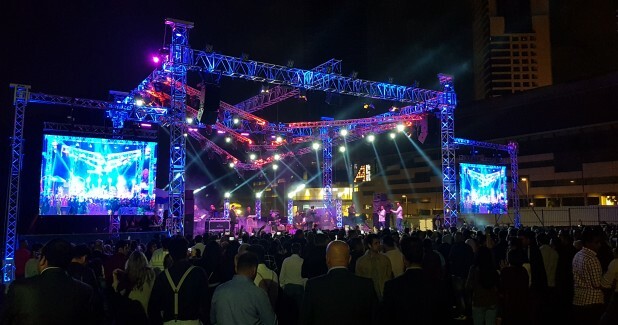 For the first time famous Moments Festival has been introduced in Jordan and Triad Live Productions were awarded the job of providing the sound and light production for the event. The Festival was held at the Boulevard in Amman spanning over two days and featured artists such as Cheb Khaled, Najwa Karam, and Jaafar among others. More than 5000 people visited each concert. The system consisted over VHD2.0 plus VHD1.0 downfill system, with ES1.0 Infills/outfills. Subwoofers installed were 4x VHD4.18 and 2x VHD2.15 per side as well as exclusive EX12 stage monitors, and an ES1.0 side fills with 2x ES2.16 subs per side.